Delicate, Not Fragile! | Cancer Shmancer POO POO POO. My journey. 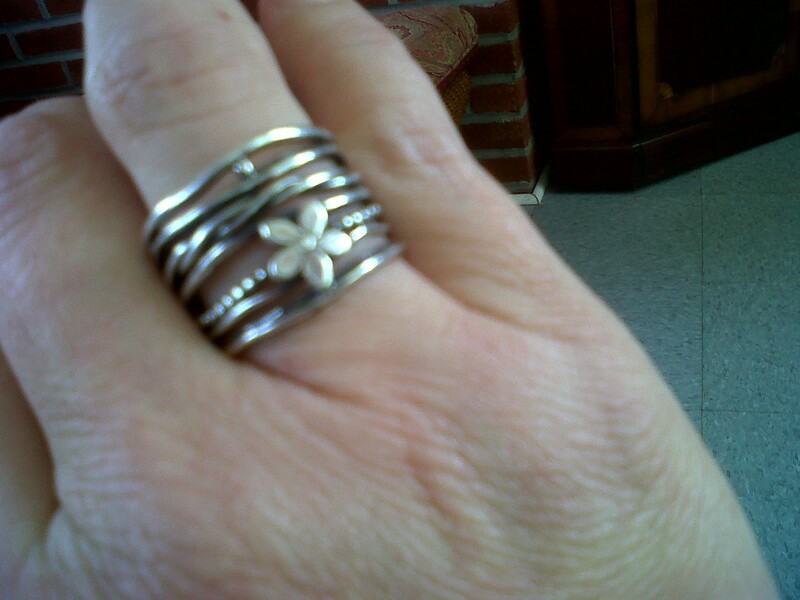 I got this ring from one of my favorite jewelry stores in Israel, Magnolia. It is surprisingly strong, despite its delicate appearance. I got it to remind myself: 1. There is no breast cancer in Israel. 2. I am delicate, but not fragile. Take that, Cancer! And NONE of the funds towards the purchase of the ring went to Breast Cancer research! This entry was posted in Uncategorized and tagged Awareness, Breast, breast cancer, Cancer, Conditions and Diseases, Health, Israel, Support Groups. Bookmark the permalink.